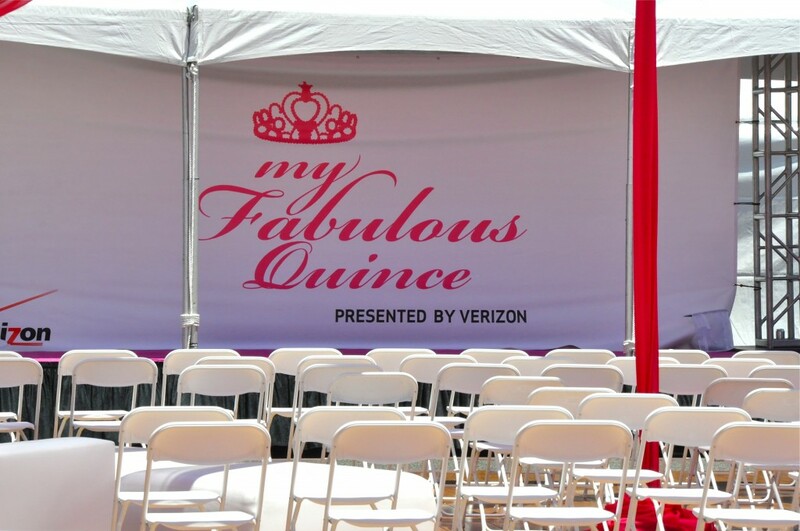 Camille la Vie was invited by Verizon Wireless to be a huge part of My Fabulous Quince event on Saturday June 16th 2012. Our presence was huge at the event; we had a booth and put on an ever so chic fashion show that introduced our Quinceañera dresses to the crowd. Our booth consisted of dazzling crowns and tiaras to pair with our floor-length long dresses, goodie bags to give away, which included our catalogs, beauty accessories and other exciting free gifts inside, as well as additional information about Camille La Vie’s fashion brand. The exciting fashion show consisted of four models wearing four looks each totaling in sixteen beautiful dresses on the runway. We showcased big full-skirt ball gown dresses for the Quince occasion with lavish bright colors including purples, greens, pinks, and blues. The dresses comprised of full beading and ruffles, perfect for a prospective fourteen-year-old girl who’s in the process of planning her big and unforgetting 15th birthday party. Camille La Vie also held a contest where a lucky winner had the opportunity to receive a $125 gift card for our stores to put toward the Quince dress of her dreams. Our fashion show intrigued the crowd and created major hype and interest! There were other vendors at the event to help the Quince girls get ready for their party. There was a flower/centerpiece company, tuxedo booth that also participated in the fashion show, technology and Verizon booths. All of these companies had free giveaways and goodies for the guests including four Verizon wireless phone giveaways, four $250 Verizon giftcards, and one college scholarship – SWEEEEET! 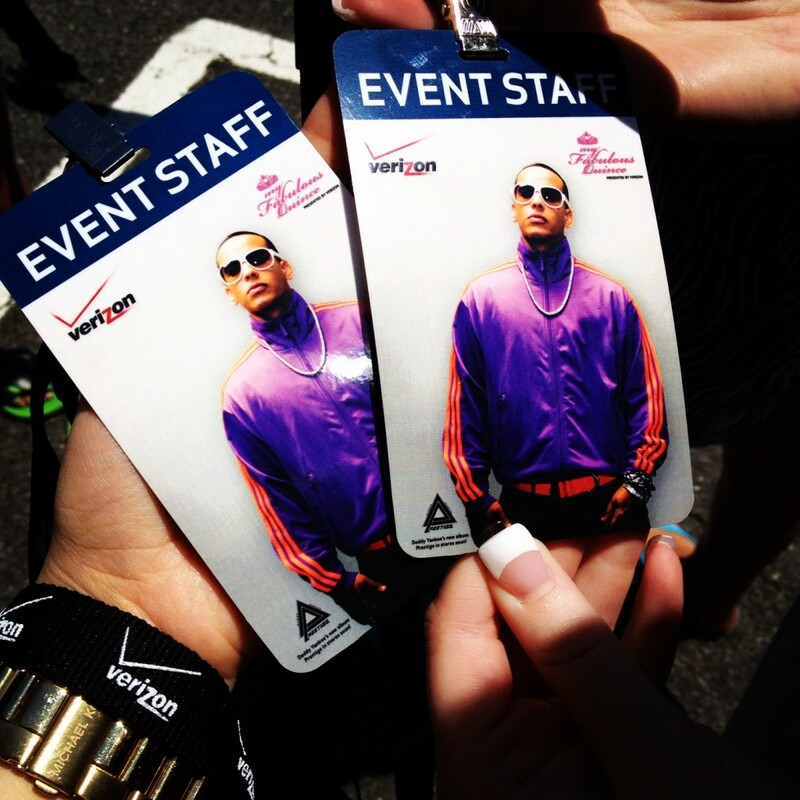 Daddy Yankee closed the event with a meet and greet and a VIP photo shoot held in the Verizon Wireless store, to meet with fans personally before he hit the stage. 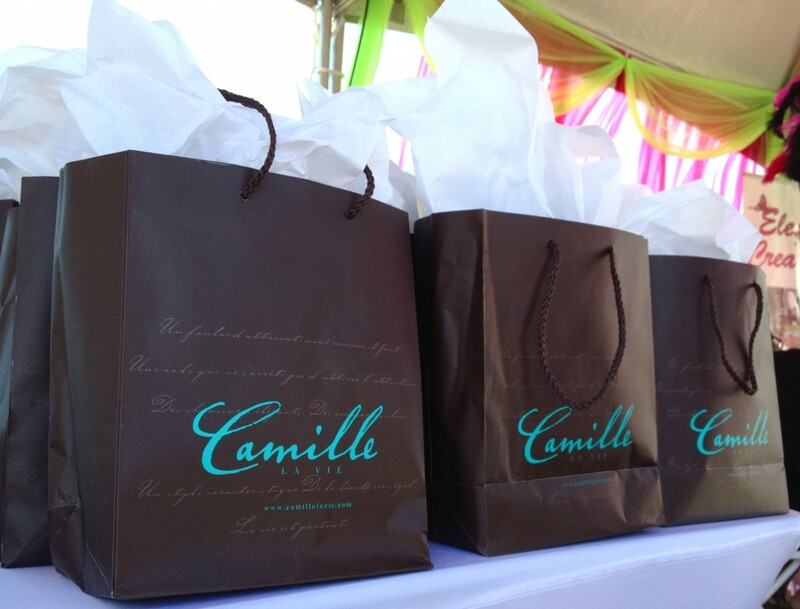 « Camille La Vie Gift Card Sweepstakes running until June 29th 2012! Your one stop boutique to all things party dress chic! LET'S GO SHOPPING! © Copyright Camille La Vie 2019.